The Paris Auto Show is an event one would not traditionally find Nokia’s participation, but this year they’re here. Riding on a high after its mapping services have recently been licensed to big names in the auto industry, and even Apple acknowledging Nokia’s mapping prowess, they have now gone ahead with its latest concept: Nokia Parking. Now, this isn’t a standalone app, and will not be developed as one. Instead, this will be a service that will be licensed to interested parties where it will integrate into other existing applications by Nokia or otherwise. Aimed at urban areas where searching for parking areas can be an extremely frustrating and time-consuming affair, Nokia Parking uses real-time GPS coordinates to search for available parking around the user. It is very thorough – it supplies information such as height limitations in parking garages, and even more impressive is the integrated payment service, where with a touch of a button users can begin the timer for their parking spot, and with another touch stop the timer and pay for the spot instantly (provided users link their credit card information to the service). The best feature, perhaps, is that Nokia Parking also uses the GPS coordinates to search for available parking bays around you – all in real-time. Scheduled to be available from November, Nokia Parking will only be available in select cities in Europe, with more soon to follow. 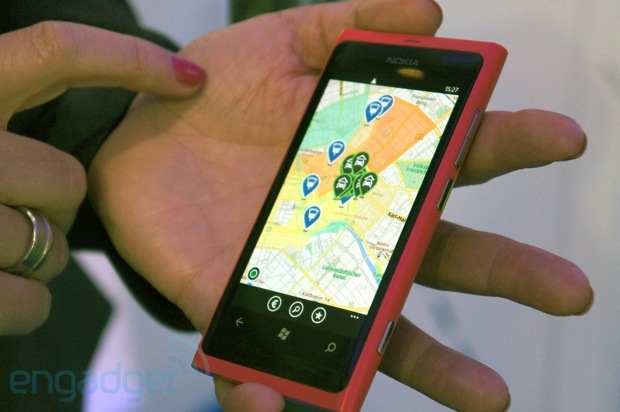 Hit the source link below to see Nokia Parking in action.